Computer science engineer and indie game developer from Mexico. Hello, my name is Alberto de la Mora, I’m a computer science engineer and indie game developer from Mexico. I’d like to share with you some of the game design lessons I’ve learnt from participating in game jams. 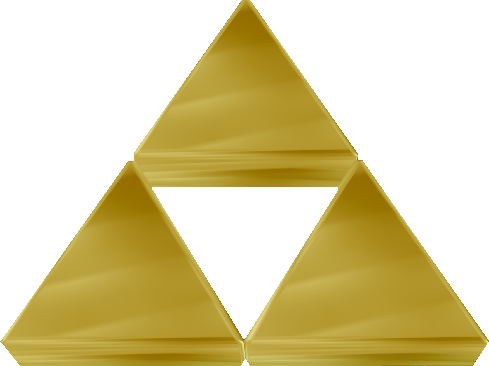 My game design triforce: simplicity, fun, originality. Having limited time and workforce for your game makes simplicity a must. You know your own strengths and weaknesses and you should know what you can finish and what not so be realistic when designing features. Once you have an idea you like, it will grow and you’ll want to add more and more stuff but try to stick to the core of the game and make it playable before adding “extra” features. Polishing is important but if you make a very complex game I’m pretty sure you won’t have time for it. I want people to enjoy my game so this factor is very important. At the end you can have a very raw game with a black background and squares of a single color but if the mechanic is fun, the game will be (my attempt at LD 26). Also it’s always better to polish a fun raw game than a bad one. You can polish a diamond to make it shine but you can’t do the same with coal. It’s a game jam, you are free to make whatever you want so experiment a lot. Try new mechanics, new art styles and anything you have never seen before, get creative. See the theme as an inspiration or a focus to narrow your ideas, not a limitation. If you fail at the end You can never fail in a game jam because every idea that came to your mind at the game design stage and every line of code you wrote for your game is experience gained, which eventually level you up, preparing you for the next challenge. Next I have to finish my gameplay. I’d like to highlight GXSCC – Automatically converts a MIDI to 8-bit chiptune. Just drag and drop your MIDI to this window, then click Authoring to export it. She also said it’s too hard (no pun intended), but she beated it! It really is hard and it’s meant to be that way for now. I’m planning to add newbie mode with arrows on the platforms and checkpoints or shorter levels. I’d like to make a simple game with good music (hopefully). I might be using Unity to make the game and Pro Tools MP 9 for the music. I’m excited and I hope I can finish a good game! It has a menu state with 2 buttons and a play state with a player and platforms (in case I need them).